Finish up any rotary project with the Universal Tool Complete Dremel Accessory Kit! 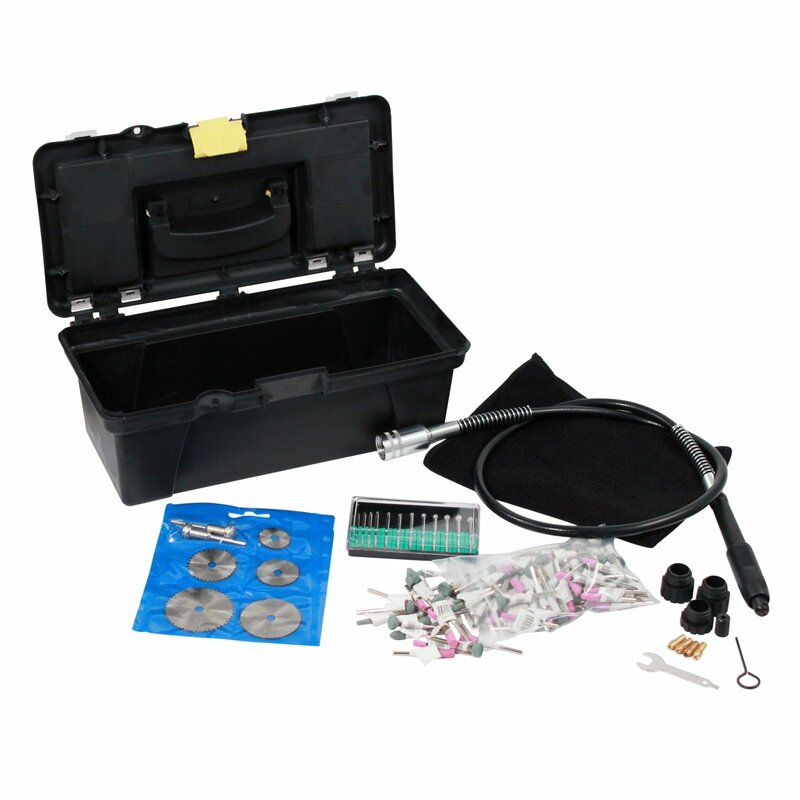 This kit comes with everything you'll need to work on projects requiring a Dremel tool. Inside the tool box you'll find a set of rotary saw blades, diamond burrs, 100 assorted abrasive stone bits and a flexible shaft extension. 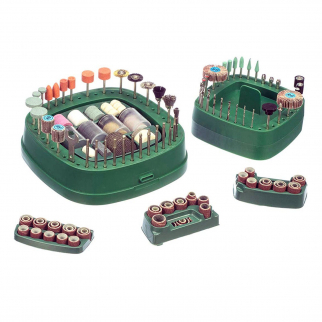 These burrs and bits are ideal for carving, etching, sanding and grinding. We've also included a microfiber cleaning cloth to help keep your work space clean and tidy. Make sure to grab this set before your next stone or metalworking project! 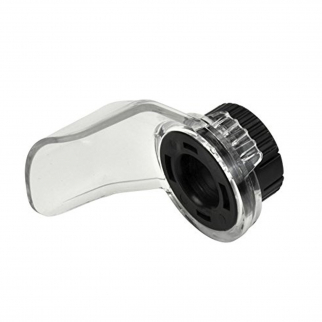 Universal Rotary Tool Shield for Deflecting Sparks and Debris $ 6.99	• 59% off! 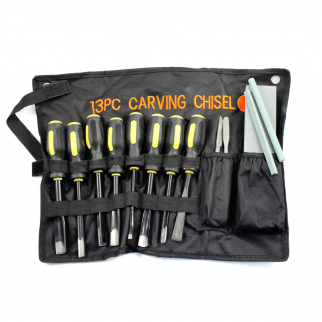 13pc Professional Wood Carving Chisel Set Various Blades Woodworking Clay & Wax $ 27.99	• 30% off!